Did you know that Home care services were first established in Manitoba in September 1974? As a Manitoban, you should be very proud that it was the first of its kind in the country and is the oldest comprehensive, province-wide, universal service in Canada! Fundamentally, the program was established to help Manitobans live at home, remaining independent, thereby avoiding or delaying the need for individuals to go into long term care facilities. The mandate of the program is to provide effective, reliable and responsive community health care services to support independent living and develop appropriate care options with clients. Who is eligible for Home Care? 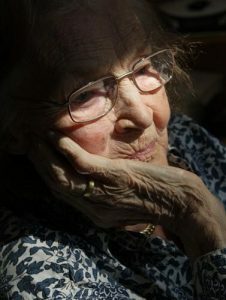 Any Manitoban, regardless of their age is eligible for Home Care services if they are a Manitoba resident, registered with Manitoba Health, require health services or assistance with activities of daily living, require services to remain safely in their homes and require more assistance than available from existing supports and community resources. We have embedded here for you a guide to home care services in Manitoba published by the Province of Manitoba. Please feel free to contact any of our highly trained and friendly staff at Partners for Home in Winnipeg to answer any questions you may have about Manitoba’s Home Care program at [email protected] or 204-295-7174.